Voor de vijfde maal op rij heeft een jury van 64 voertuigjournalisten uit meer dan 30 landen de 2.0 TFSI motor de “International Engine of the Year” Award verleent in de categorie 1.8 tot 2.0-liter. “Een mix tussen prestatie en efficiency. Een voorbeeld voor alle motorenfabrikanten”, concludeerde de jury. Zij waren vooral onder de indruk waarmee Audi de motor met trekkracht, economie en excellente handling ontwikkelde. 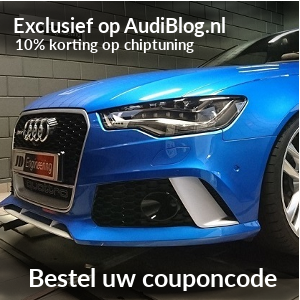 De laatste versie van de tweeliter TFSI motor in de Audi A4, A5 en Q5 is uitgerust met het Audi valvelift systeem met de kleppenlift in twee fasen. Het werkt op de turbomotor uitlaatkleppen. the “International Engine of the Year” in the 1.8 to 2.0-liter category. “A blend of performance and efficiency. An example to all engine manufacturers”, concluded the jury. It was particularly impressed by the way the Audi-developed engine combines pulling power, economy and excellent handling. The latest version of the two-liter TFSI engine in the Audi A4, A5 and Q5 is equipped with the Audi valvelift system that regulates the valve lift in two stages. It acts on the turbo engine’s exhaust valves. Together with the intake camshaft that can be adjusted through 60 degrees, it improves the charge cycle and boosts pulling power. The driver experiences the Audi valvelift system as a technology designed to enhance driving fun – it guarantees a spontaneous, dynamic torque buildup all the way up from rock-bottom revs. This characteristic means the engine encourages the driver to shift up sooner, promoting lower revving and therefore a more economical driving style. 200 kW (272 hp), the engine propels an Audi TTS Coupé, equipped with the optional S tronic dual-clutch transmission, from 0 to 100 kilometers (0-62.14 mph) per hour in just 5.2 seconds. Audi was the first manufacturer in the world to combine gasoline direct injection with turbocharging in volume production. The success story of the 2.0 TFSI started in summer 2004, when it made its debut in the Audi A3 Sportback. Over the subsequent five years it was not only crowned “International Engine of the Year” on five occasions, but also the engine of choice for over 1.3 million customers.